We reach Cemoro Lawang (the outer side of Mount Bromo area) at 11 pm and booked a room at Cafe Lava Hostel. Most people, including us, only use the room for a couple of hours since we have to start hiking at dawn – if you’re looking for the sunrise. Cafe Lava Hostel has the best location (at the edge of the crater) so you just need to walk straight into Bromo. But I don’t think it worth the amount of money we payed. It is over priced. We had our morning call. It was 3 am and I was too excited that I didn’t even feel sleepy anymore although I only got a 4 hours sleep. We put our jacket on along with our gloves, winter hats, pants, and shoes. Since I left my boots in Bandung, I used my running shoes instead – it slips several time. We were prepared to see the sunrise! The sky was full of stars I could never imagine and the temperature was less than 10 degree Celsius up there. Not to waste any more time, I sat on the back seat of the Jeep heading to Mount Penanjakan. It took about half an hour to reach the parking area at Mount Penanjakan and then we walked for about 10 – 15 minutes to the top of Mount Penanjakan. 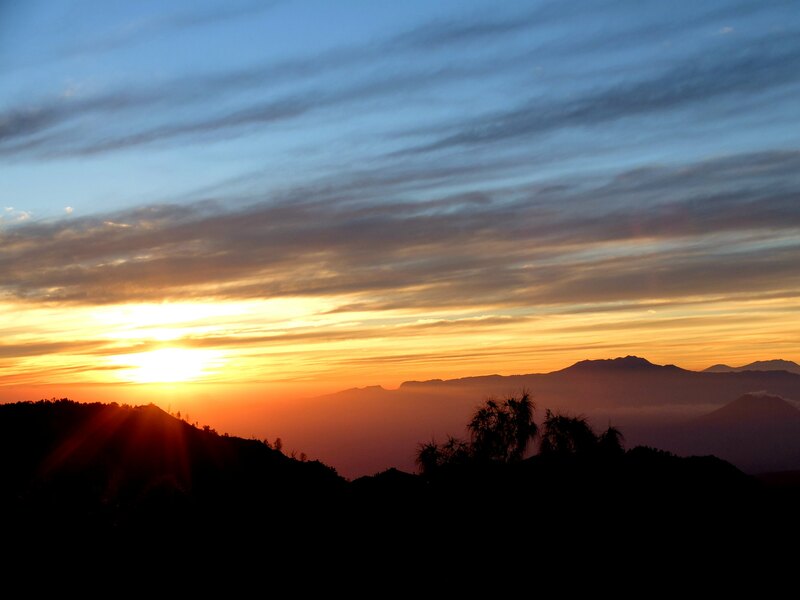 Here, at the top of Mount Penanjakan, lies a brilliant panoramic view of Mount Bromo, Mount Semeru, and the crater! I was lucky enough with the cloud so the view up there was so clear to the east. And if I looked straight, I could see the sun coming up slowly. 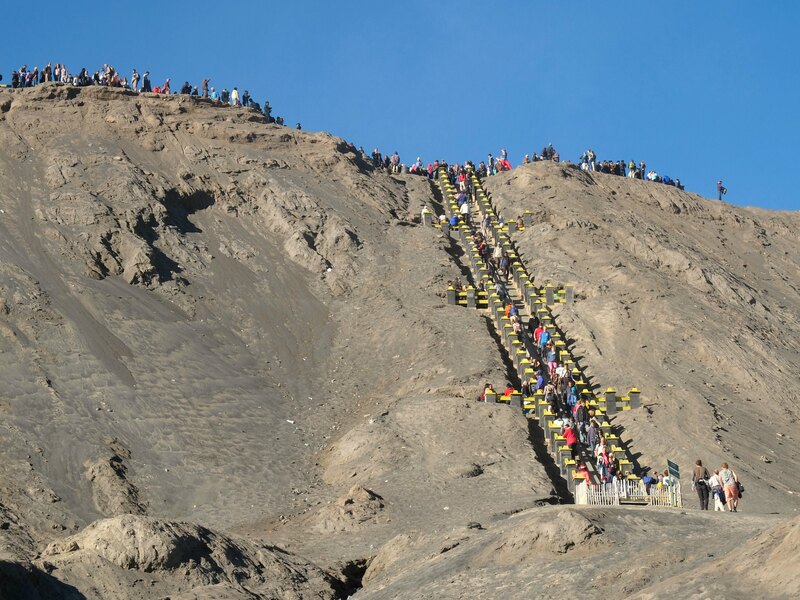 Since Mount Bromo is one of the most popular tourist destination in Indonesia, it is crowded! Some people even used their camera flash as they took some pictures of the mountain, which I found quite annoying. But later when the sun shows up, all things were paid off. Off to the crater we go! 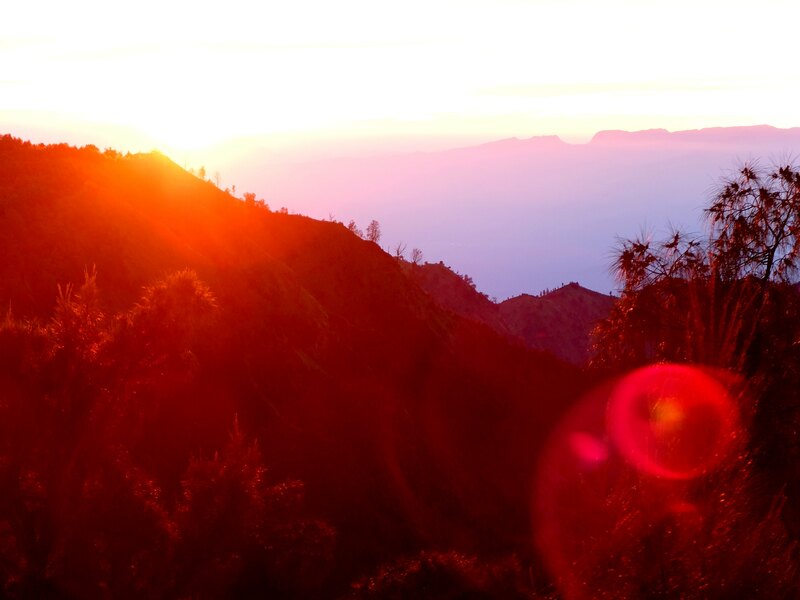 We trekked down Mount Penanjakan and up to Mount Bromo summit. It was a 2 – 3 km long journey. There are horses available for rent but we chose to walk instead. From Mount Penanjakan, it took around 10 minutes using our Jeep to reach the foot of Mount Bromo’s Crater. And an hour walk to the top of Mount Bromo’s crater. Next up was the savanna area. We just had a quick stroll around this area and took some pictures along our way. There’s nothing so special around here. But still the view was beautiful. 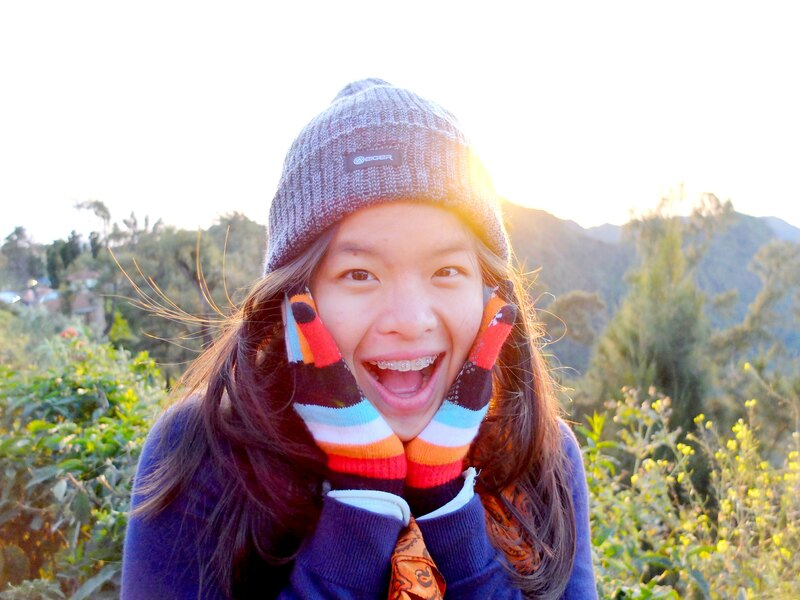 I had so much fun hiking Mount Bromo! The sunrise, the experience, the feeling worth the effort. Thank you for the amazing experience! Bring your jacket along with your gloves as it’s cold up there at dawn. But if you don’t you could rent a jacket for around 25k-30k Rupiah and buy a gloves for 20k Rupiah. *some photos courtesy of Fredric, my beloved travelling partner! That looks like such a beautiful destination! It is, Kayla! I can’t believe I was there. Too bad it is over crowded. That is too bad. You still got beautiful pictures though. It captured the beauty without the blemish of the crowds. What camera do you use to take those pictures? is it possible for you to rent a car if you are a foreigner? If yes, do you mind to share the website for it? Of course it’s possible. But unfortunately, I can’t find any trusted website fro renting a car. But in fact, once you get there, there will be a lot of locals offering you a jeep for rent. can i know the rate of the cafe lava hostel? Hi! 🙂 It’s around $60 for 3 person. The only public transportation I know is bus. They say it departs every 15 minutes. So it might be easier for you to catch up with the bus schedule. There is also another alternative, a shuttle minivans. You can find it at the airport. hey there! read the whole thing and was amazed! im actually going there in 3 weeks time and im quite curious about the accomodation like the cafe lava per night and the jeep per trip. Is it worth? Hey Zouleey, thanks for reading! thanks for the info. im choosing my accomodation, still can’t decide. Java banana seems to be pricey..
For cafe lava hostel u commented is $60 for 3. Why is is not worth it and overpriced? Oh about Java Banana, there’s a room that can accomodate 9 adults in 6 bunk beds. My friends said it’s quite cheap compared to Cafe Lava. But I’m not quite sure abt the exact pricing. Hmm.. well, only two of us going. 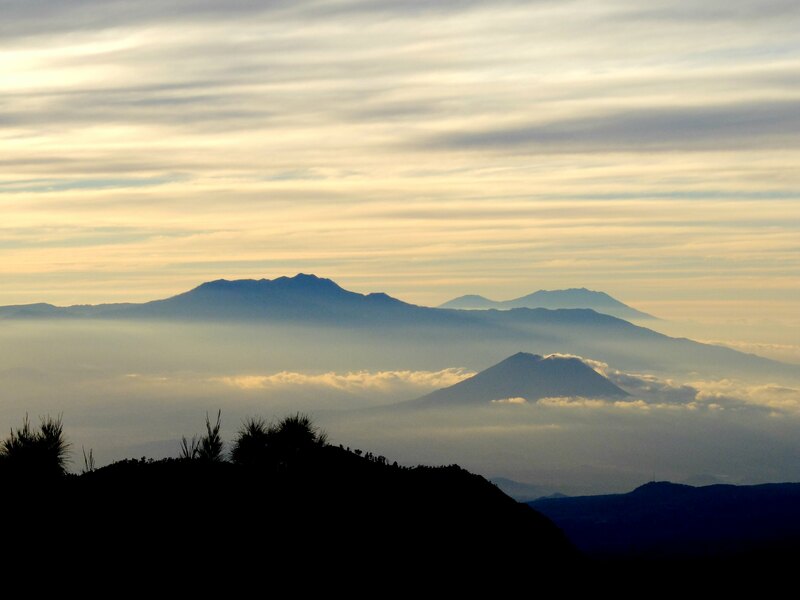 So ya.. still thinking..
Hi, I’ll be heading to mt bromo in a month’s time. Just want to ask if you booked your 4×4 van only when u reached cemoro lawang? We’re hoping to settle our transport up to bromo only when we get there. Great photos btw! Yes!!! 🙂 There are a lot of people there offering you to book the 4×4 van. All you’ve got to to is bargain 😉 Aw thanks!!! 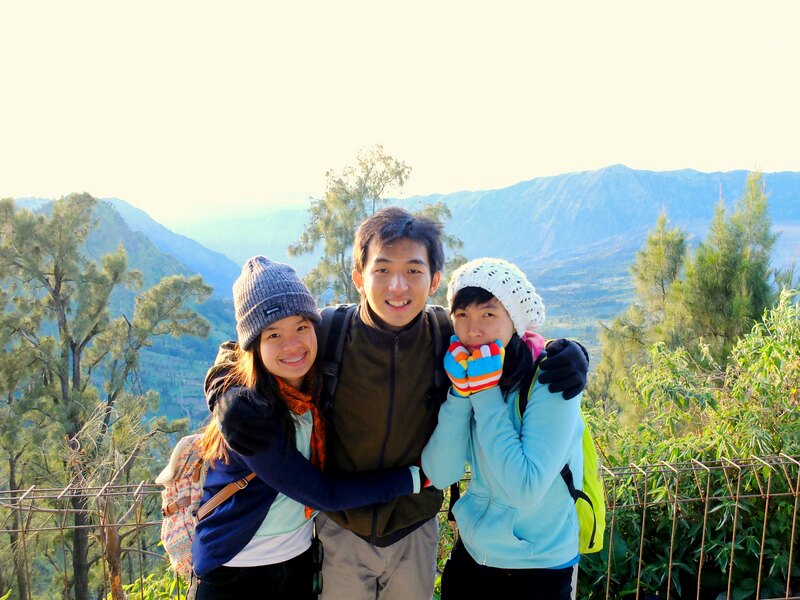 If you don’t mind to share, how did you reach Cemoro Lawang? Where did you travel from? 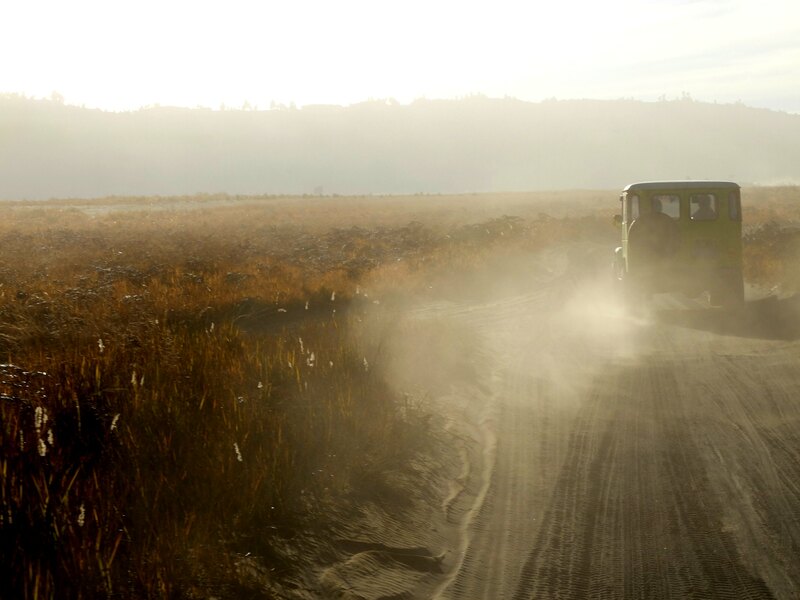 Did you also book the sunrise tour (by Jeep) with Café Lava hotel as well? How much did they quote? Thanks. I went there by car, my boyfriend drove from Bali. 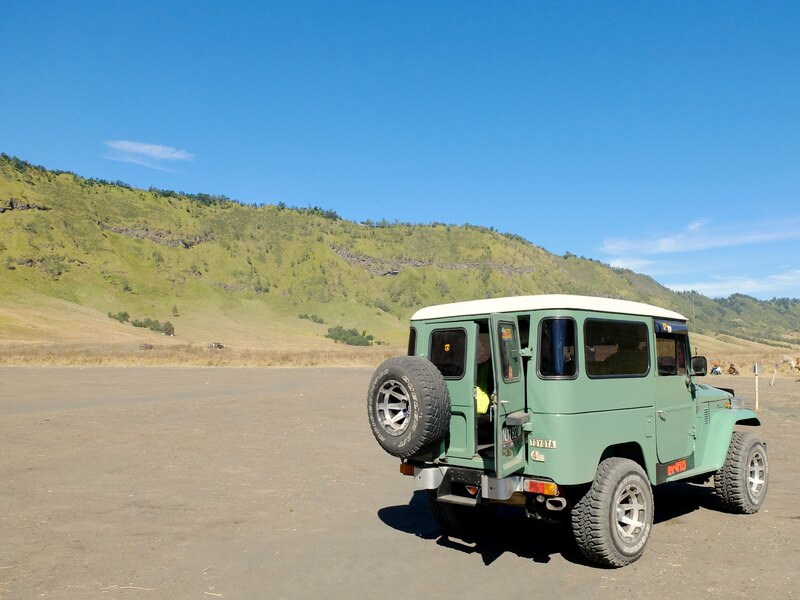 And yes, we still need to book the Jeep since we’re not allowed to travel around Bromo by city car – I think it would be hard without Jeep. Once you get there, there’ll be a lot of people offering you the Jeep & tour package. You’ll just have to bargain for the best price. The Jeep costs around IDR 500.000. I went there in April. 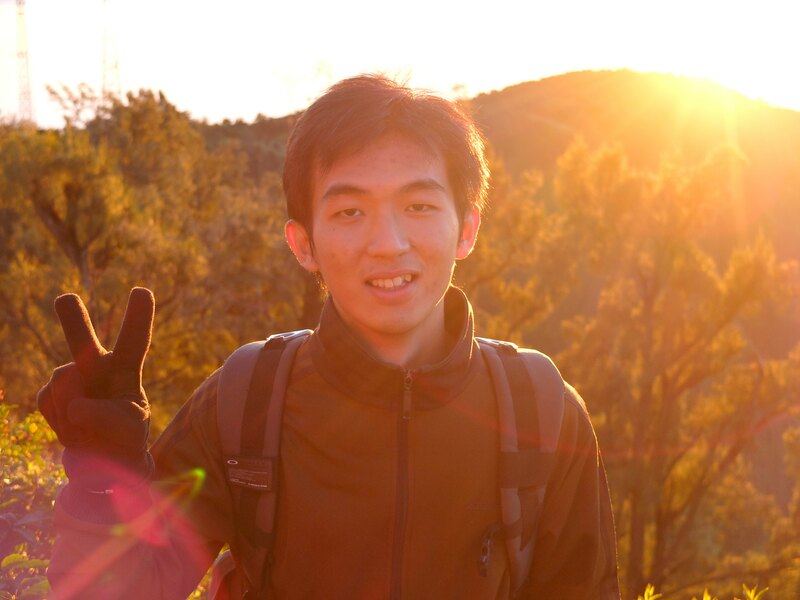 I enjoyed the trip very much. Login to http://www.lwjuan.com to share my experience. 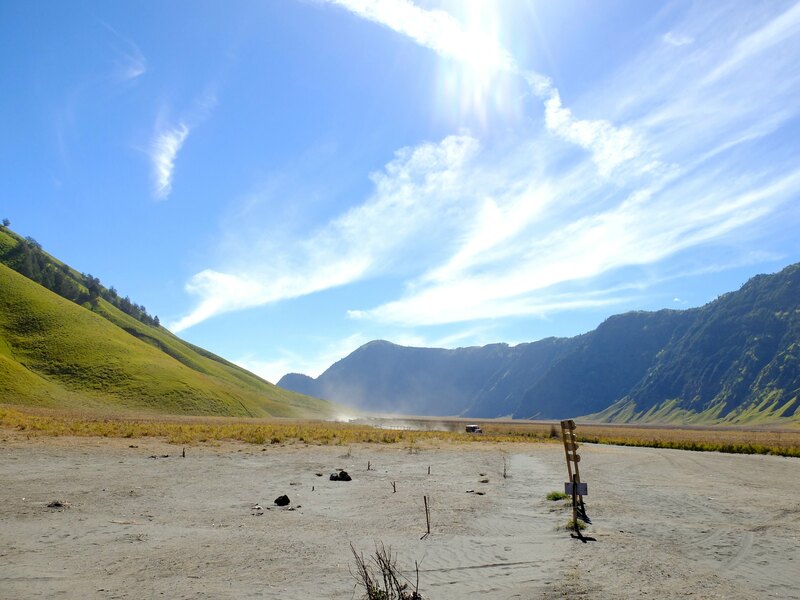 May I know what is the weather like at Mt Bromo? how cold? Yes it is, at dawn. You need thick jacket and also gloves. But after the sun rises, it’s only chilly. nanya dong.. did you go there yourself? apa sama tour package gt yah? Nope. Kemarin pergi sendiri sama temen hehe. Bawa mobil kesana. Tapi sampai sana, harus sewa Jeep karena ga boleh pake mobil pribadi di Bromo nya. icic.. thanks for the infoo.. lagi mikir to book everything ourself, apa pake tour package aja.. jadi enak tinggal di jemput dari sby airport. hahaha. km sewa mobil disana? apa km asal surabaya? Aku dari Bandung. Waktu itu kebetulan lagi tinggal di Bali, trs jd dari Bali ke Bandung bawa mobil gitu. Terus sekalian mampir deh. Hehe. Oooooh! Haha ihhh sedih dimahalin cuma gara2 tau dari Singapore. Iya coba cari2 info aja dulu. Hope you have a nice pleasant trip!! Hello there! 🙂 Thank you for reading, ya. Kemarin nyewa Jeep random waktu udah sampai kesana. Banyak abang2 nongkronin nawarin Jeep mereka. Udah include supirnya kok. 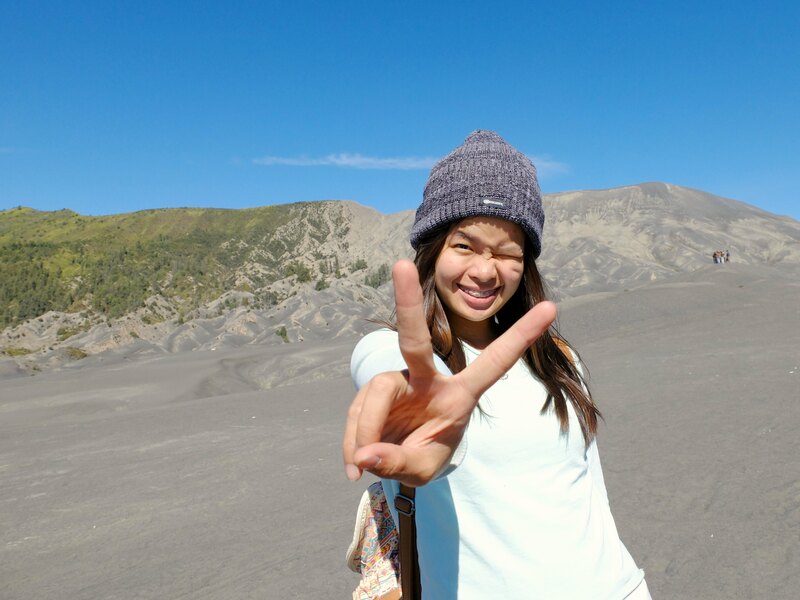 Hi SHaron, Thanks for sharing you amazing Mt Bromo experience. Some nice clicks..
Hi Sharon..Amazing pics…:) We are also planning trip to Mt Bromo in Aug this year. However, were wondering how difficult/easy is the trek – considering we would have a 11 month old infant with us. While both me and my husband have done a bit of trekking earlier – but we are unsure if we can do it with the baby along, The picture and description of the place looks tempting. 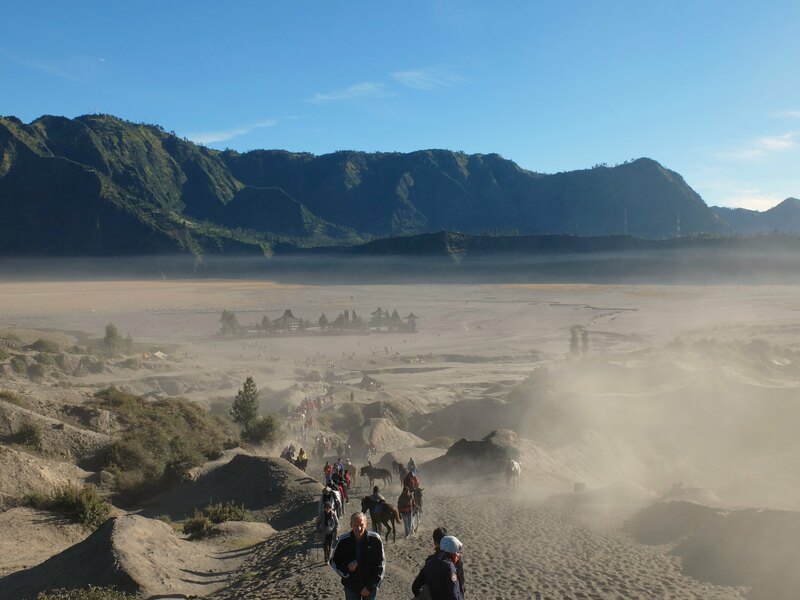 Mostly foreigner will visit Bromo,Ijen, somewhere Bali. I have the tour and travel which can provide transport and accommodation.